I started making myself overnight oats for breakfast and I love them. With unpredictable wake times and being hungry all of the time, I find that its so great to have breakfast ready to go. I stumbled upon this great tutorial on Organize Yourself Skinny that got me started experimenting with my own flavours. Since my son now sits at the table with me as I eat breakfast, I of course wondered if I could make him his own overnight oats, but I couldn't find any recipes! I'm mostly doing Baby Led Weaning and hadn't planned to do any cereals. But a few days into Baby Led Weaning I realized that it's important to prevent constipation and thus prevent having an unhappy baby that hasn't pooped in five hours when he usually poops 4 times a day, oops! 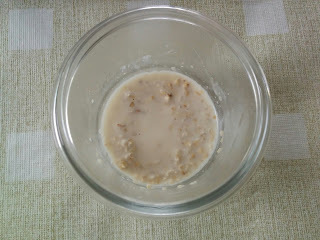 Oats are an easy first food to digest and known to be good for preventing constipation so I decided to give them a try. So then... which oats to use? 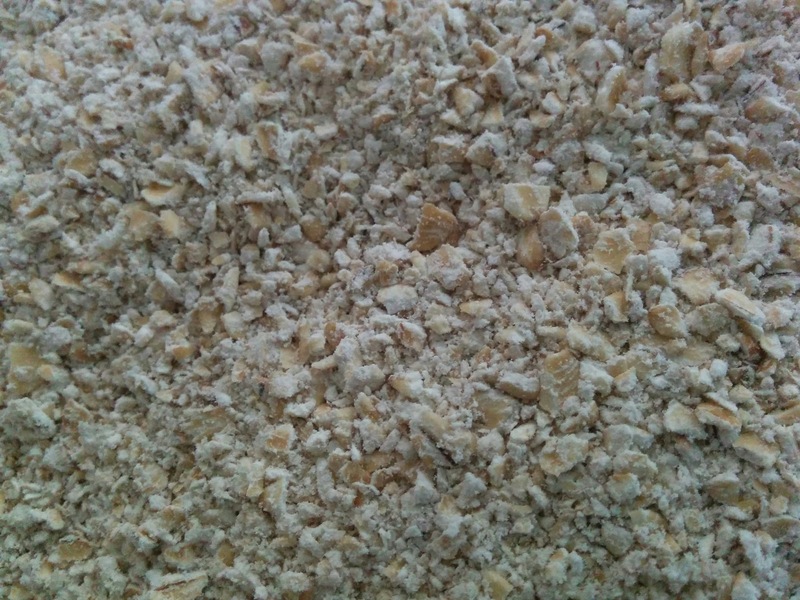 Baby oat cereal, instant oats, old fashioned rolled oats or steel cut? Some quick research led me to discover that steel cut are the least processed but also require the most cooking because of that. So I decided to give both steel cut and rolled oats a try. After experimentation, I found steel cut oats to be more difficult to grind and don't come become as soft when soaked overnight, probably because they haven't previously been steamed and rolled as rolled oats have been. 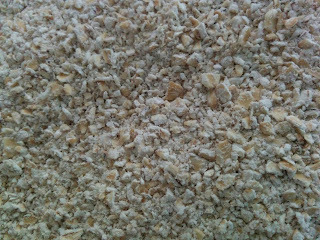 As such, they didn't produce as nice of a texture as the rolled oats. So my preferred oats for this recipe are rolled oats. Honestly, laziness. I'm already preparing overnight oats for myself, and at 6 months, a baby only eats 3-9 tbsp of cereal a day. In our case, because he's getting fruit, vegetables and meat as well we really don't need more than 3 tbsp at 6 months. Am I really going to cook 3 tbsp worth over the stove? Absolutely not. I suppose this is why they sell baby cereal which is almost the same as instant oatmeal only fortified: it requires less cooking because its already been cooked. In order to use regular oats, overnight soaking seems like the perfect solution. If you do some research online, lots of blogs and websites claim soaking is healthier as it reduces the amount of phytic acid. That may or may not be true but my research yielded only results that claimed soaked oats were easier to digest than cooked oats so I decided to go ahead with it! 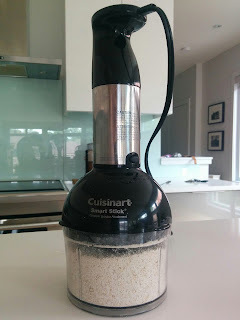 Grind the oats using a blender or food processor. I used my Cuisinart Smart Stick as it has a food processor attachment. The resulting oats are not as fine as flour or infant cereal but since we aren't doing very fine purees my son didn't seem to mind. If you're more patient than I am you can probably get them to be even more finely ground. Mix the oats and breast milk in a container and store overnight in the refrigerator for 8-12 hours. I like to offer him oatmeal when I eat it in the morning so I just make our oats at the same time and we eat them when we have breakfast together.